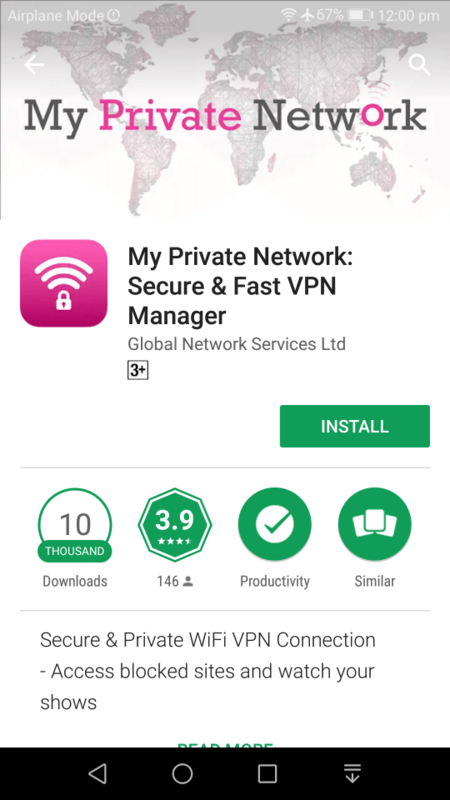 Setting up your Android Tablet to connect to My Private Network’s VPN should take just a few minutes using our Android VPN manager app from the Google Play Store. 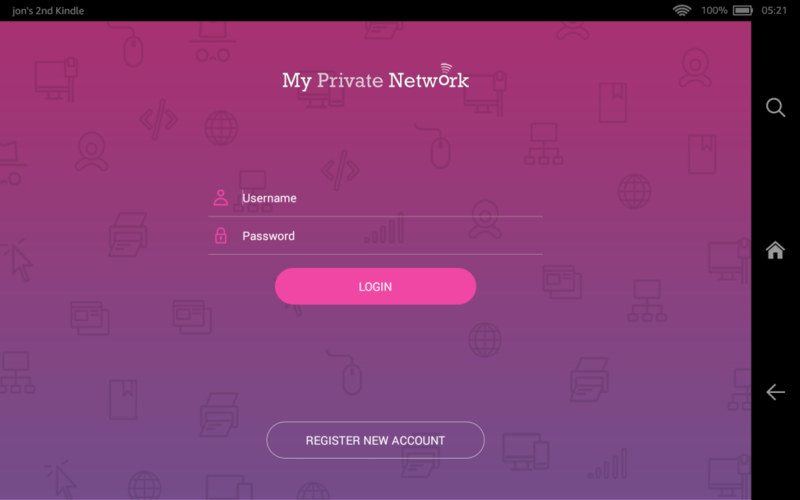 Our app connects to the VPN via the OpenVPN SSL protocol with options for UDP 1194, UDP 4096, TCP 443, and TCP 1194. Please note that your device needs to be connected to the Internet and able to browse the web before moving on with the instructions below. Click on the Google Play™ Store app icon below from your Android device to download the MPN VPN Manager App. Click on the Install button to install the app. Depending on the design of your tablet, you should also notice a key icon in the status bar, indicating that the VPN is connected and also that the action button in the application has changed from Connect to Disconnect. Alternatively, you can swipe down on the status bar, tap the VPN status icon, and it should open the App screen and you can then tap on Disconnect. We’ve included a simple widget, which you also use to connect and disconnect the VPN. Add the widget to your home screen by scrolling through the list of widgets on your device and finding the one called My Private Network. Tap and hold the widget and choose which home screen you want to install it on. To connect using the widget, simply tap on Connect. The button text will change to Connecting… and after a few moments, Connected. To disconnect using the widget, simply tap on Disconnect. Note: To use the widget, you must have already login to the app or at least saved the login details once from the main app login screen. If the widget cannot find any saved preferences it will state Login and open the main application.